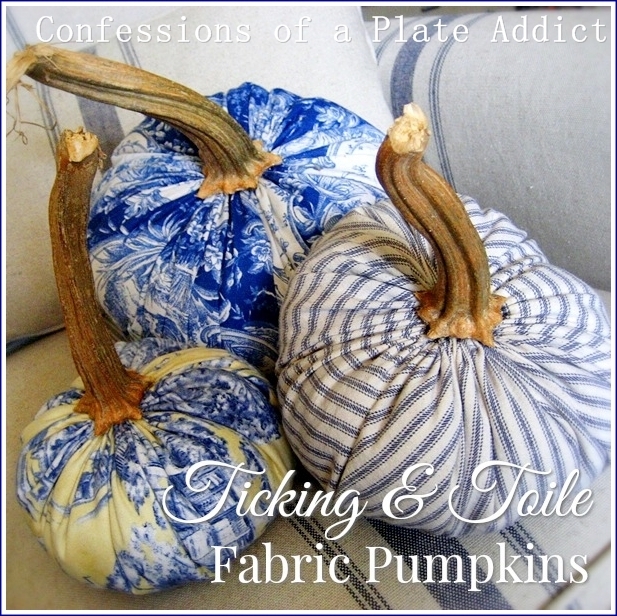 Here's my new favorite way to make your own pumpkins...frenchy TICKING AND TOILE PUMPKINS! 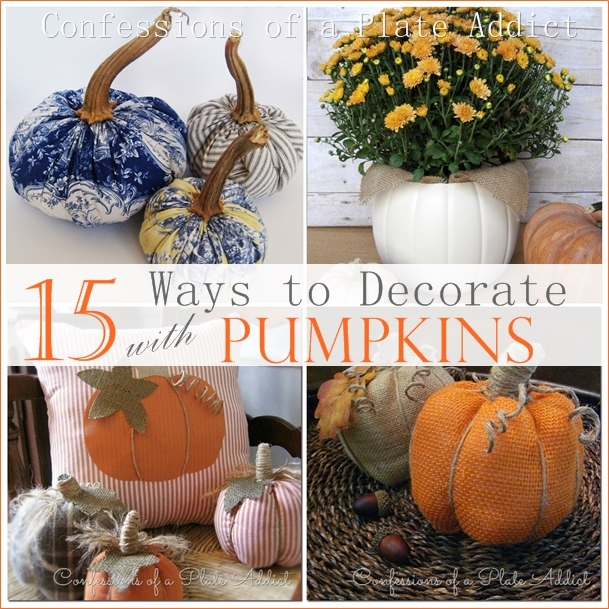 This traditional fabric combination is perfect for some non-traditional pumpkins! Who needs flower pots when you can display your mums in this FAUX PUMPKIN PLANTER made from a $1.00 trick-or-treat pumpkin! And it's so easy, too! And don't forget your mantel or doorway! 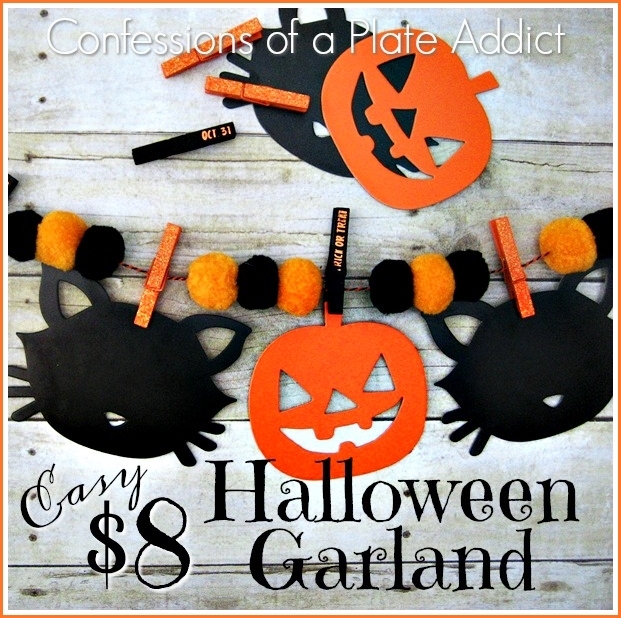 Just add this EASY $8 HALLOWEEN GARLAND...and all you have to do is assemble it! How easy is that? And that's it...but I'm still looking for those real pumpkins. A trip to the pumpkin farm may be in order soon! They are opening early this year! Eeeeeee! I have not seen them here yet either but I DO see all of the decor for both Fall AND CHRISTMAS (yikes!) out. I must admit I'm in no hurry for fall to come but I DO like those folded paper pumpkins! I haven't seen any pumpkins here in SO CA yet, but I do have a lot of faux ones. I am so ready for Fall and I am going to start decorating this week. With extreme heat and I have to stay in doors with my COPD, I will stat my decorating. Have a great week and hopefully you will find some pumpkins soon. Loved all your 15 different decorations of pumpkins.